Wholesale Chocolate made fresh and delivered right to your door is the hallmark of our chocolate brand and the reason behind our success. Making the exquisite chocolate is a complex process of careful selection of cocoa ingredients and audits in quality from beginning to end. As a gourmet chocolate supplier we take quality cacao ingredients serious. Our specialty is organic bulk chocolate that will exceed your expectations. Ready to eat in wafers and chocolate chips, you can discover for yourself the health benefits of organic chocolate. Unlike white chocolate, dark chocolate has both cocoa butter and cacao fiber which science has proven to have health benefits. The cacao fiber is the part of the cocoa bean where most antioxidants are found. This is why dark chocolate with high cocoa solids and thus more cacao fiber, is considered healthy chocolate and as a result the healthiest chocolate to eat in a chocolate diet. We offer you the world of cacao sourced from pristine rainforests. Our pure chocolate is more than candy with complex flavors and an exotic taste. We make our couverture chocolate for the healthy California lifestyle with low sugar and even no sugar. With USDA organic certification, Fair Trade Chocolate audits and Kosher certification, Santa Barbara Chocolate guarantees flavor to the highest organic standards. 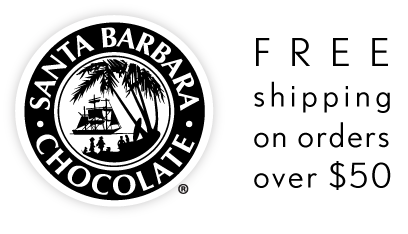 Perfect eating from the package, home baking or manufacturing, Santa Barbara Chocolate delivers the wholesale dark chocolate in bulk. We care about providing chocolate that is considered the best in the world. That is why as a worldwide chocolate brand we make an extra effort to work with wholesale suppliers and cacao growers to find the highest quality raw cacao ingredients. When it comes to nature, Santa Barbara Chocolate works in harmony with the rainforest so that every tree, every leaf and every ray of sunlight contributes toward the authentic taste of pure chocolate, unadulterated and clean. In a world where the ecosystem is struck down and the delicate earth trampled, we are conscious about our footprint. The cacao tree is a gift which is why we strive to work in natural harmony with the planet and the forests that decorate it. 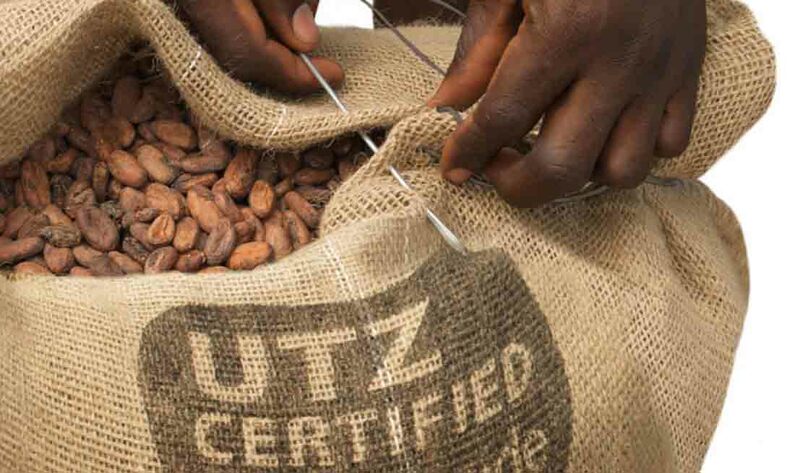 This is why we choose UTZ, Rainforest Alliance, FairTrade and Ethical Trade raw ingredients. The rainforests are stunning to the eye, imagine emerald green canopies that sparkle in the morning mist, a low fog drenches everything in moisture and butterflies flit from the tangled vines landing on beautiful flowers. It is here amongst the shade of these great trees where long time indigenous farmers tend shade grown chocolate. 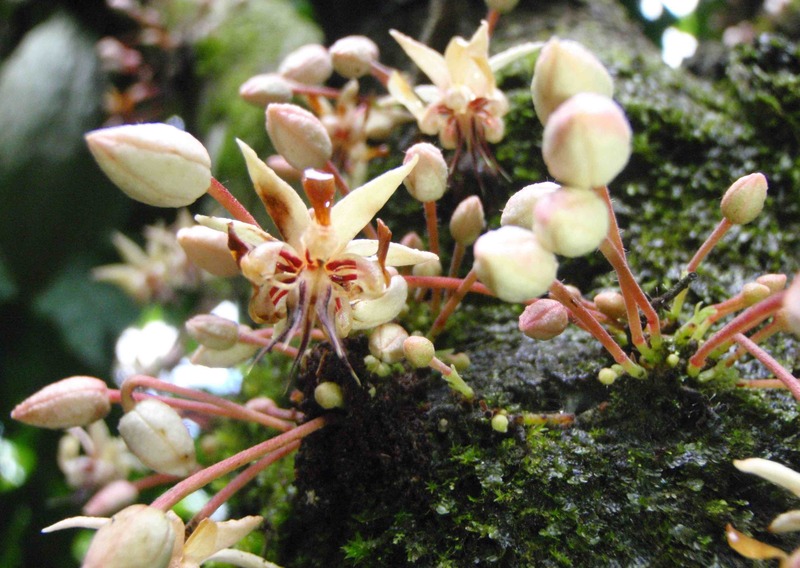 From these healthy trees come the organic bittersweet chocolate we love. We are one of the few Chocolate brands buying from organic cacao suppliers. Believe it or not there is a huge difference when it comes to the taste of shade grown chocolate and sun drenched chocolate. In shade grown chocolate the tree has the chance to flourish with the environment and the sunlight it knows best. This is as opposed to a cacao farm where the trees sit in direct sunlight on clear cut land scorched by the sun. Shade farming takes the organic approach one step further and delivers magnificent cacao grown the way nature intended. You'll notice complex flavor nuances that accent honest chocolate flavor with hints of red berry, spice and vanilla orchid. Tasting one of our bittersweet chocolates you'll be taken on a flavor journey. 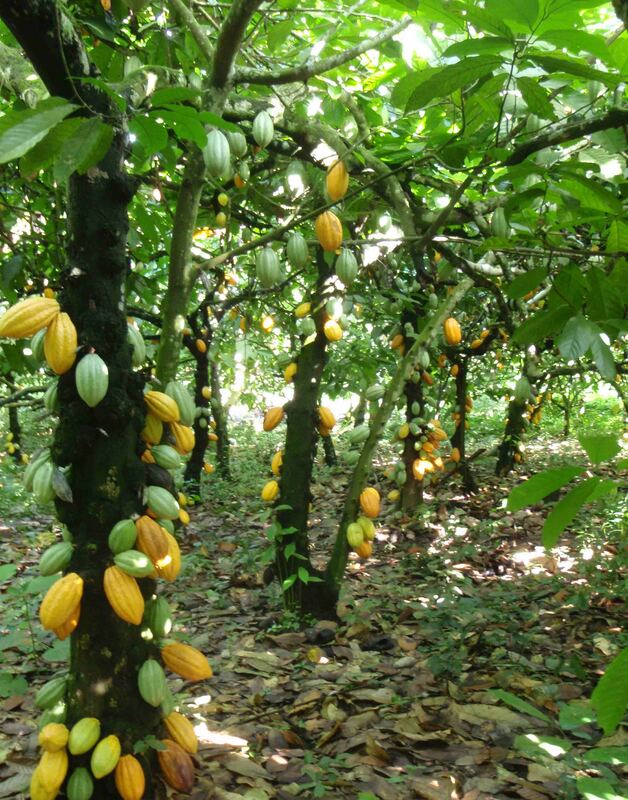 The best tasting chocolate will come from cacao trees with lower yield. The cacao tree grown in shade offers a smaller yield, but when it comes to shade grown cacao it is the quality not the quantity that counts. This is where the marketplace is run by local farms that care about the best tasting chocolate and the safety of the environment. Shade growing of cacao helps ensure a better world. Local farms thrive on cacao growing and the sweet scented forests the plants inhabit. Instead of bulldozers laying forests flat, they will be protected and every song bird, chirping insect, and blossoming flower will be protected with it. This is how the chocolate brand you choose can have direct results on the environment. Thanks to the shade of the forests working in harmony with the sun and the plants, shade grown chocolate protects rich soil bursting with earthy nutrients. The shade grown way is the natural way and allows raw cacao to thrive without the use of chemicals or contamination. Organic chocolate becomes the harmonious and right way. This makes shade grown chocolate full of great karma, not to mention high quality. All of our chocolate brands strive to produce chocolate that will offer a lasting impression of sensational taste and a happy environment. Pure and natural chocolate from Santa Barbara has traveled a long way, from the tiny cacao shoot that burst through the forest floor to the farmer’s hand who picked the cocoa pod, this is chocolate with a conscience. Shade grown chocolate is the best chocolate.